For a downloadable copy of the report please click the link below. Recently, some of you have expressed concerns about the College of Engineering’s 25 by 25 initiative. I want you to know that the quality of your education is my top priority and all of our new initiatives were created to enhance your educational experience and provide new opportunities for our student body. I have prepared the following information to address your most common questions. I would be happy to visit your student society meetings, classes or other student gatherings to discuss the initiative and further explain the data in this document. If you would like to arrange for a presentation or have other comments or questions, please email me at engineeringvcd@tamu.edu. The 25 by 25 initiative began in 2013 in response to the national call for more engineering graduates and our engineering advisory board’s strong support of the program. Given that we were rejecting thousands of qualified applicants due to our low enrollment cap, we were well positioned to develop a controlled growth initiative. The student enrollment at Texas A&M University has grown significantly over the past five years and this growth has been campuswide. Although attention has focused primarily on the College of Engineering’s 25 by 25 initiative, other colleges have also contributed to the increase in Texas A&M students as indicated in Figure 1. I am often asked to predict the number of additional university students that the 25 by 25 initiative will require on the College Station campus by 2025. The answer is 800 students. Figure 2 provides details of our planned growth by 2025, along with our strategy for enrollment. If you consider the anticipated growth as a whole, the chart shown in Figure 3 indicates the percentage of on- and off-campus growth. Half of the enrollment increase over the next seven years will be met through the college’s goal of 75% retention (i.e., a six-year graduation rate from the College of Engineering). Also, 35% of the growth will be through an increase in non-College Station campus students (“remote sites” and “online master’s” categories). To further explain Figures 2 and 3, let’s review the numbers. For the 2017 academic year, there are 19,378 students in the Texas A&M Engineering program (with 17,023 on the College Station campus). In the coming years (from Fall 2016 to Fall 2025), we anticipate increasing the Texas A&M Engineering program enrollment by 5,622 students. But, contrary to the assumption that Texas A&M’s College Station campus enrollment will grow by that amount, we will focus primarily on the retention of the admitted students in our program – ensuring that they have every opportunity to succeed and remain in the College of Engineering. We will also be increasing the number of online master’s students, the number of off-campus Engineering Academy students, and the number of engineering students at our branch campus in Galveston and at the teaching center in McAllen. President Michael K. Young has stated that the number of students on the College Station campus will not grow significantly over the next few years, and 25 by 25 does not require significant student growth on the College Station campus. Again, only 800 students (less than 115 students per year) will be added by 2025. It is worth restating that half of the enrollment increase over the coming years (from fall 2016 to fall 2025) will be met by reaching our goal of 75% retention. At our current rate of 62% retention, we lag behind other top 10 public engineering colleges in this important statistic. A low retention rate for a top college of engineering may negatively affect reputation and ranking, and possibly impact future graduate employment opportunities. We want to give every engineering student the opportunity to succeed in the discipline of his/her choice. Consequently, we developed the three-fold plan below. We are redesigning our first-year engineering program to integrate engineering concepts into our science and math courses. This should increase our students’ success in these critically important foundational courses. We are working with engineering faculty throughout the college to ensure that our students are receiving the highest quality instruction and support in departmental courses. We have eliminated automatic admission into the College of Engineering. Prospective engineering students must undergo a rigorous holistic review process, which will result in a high-quality incoming engineering student body with stronger preparation in mathematics. It is projected that 4,367 students will be located off campus as part of our online graduate degree program, the Engineering Academy program, or the programs at Galveston and McAllen. On the College Station campus, we expect an increase of 300 graduate students by 2025 (an increase of less than 43 engineering graduate students per year). Also, we expect to increase our incoming undergraduate students on campus by 615 students (an increase of less than 72 undergraduate engineering students per year). I understand students are concerned about maintaining the quality and value of a Texas A&M engineering degree. I will address this concern by discussing the following: admission policies, first-year engineering, faculty hiring, class size, instructional space, modern instruction, employment opportunities, accreditation and support services. Texas A&M University has an automatic admit policy for the top 10% of students. However, starting with the fall 2017 freshman cohort, the College of Engineering changed our admission process to a rigorous holistic review. 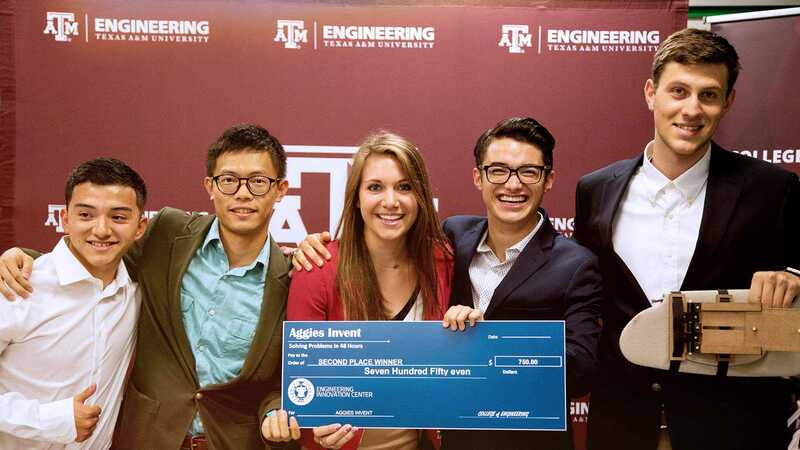 In other words, the top 10% of students are automatically accepted into Texas A&M, but these students must go through a holistic review before acceptance into the College of Engineering. We believe that this change will result in students with a stronger preparation in mathematics and science. For example, preference is given to students who successfully completed a calculus or pre-calculus class in high school and have strong quantitative test scores. For students admitted for fall 2017, the average SAT math score is 709, which is significantly higher than the average math score of 683 in fall 2016. I anticipate that the quality of our incoming students over the next decade will continue to be exceptional. I am working closely with the College of Science to improve success in core physics and mathematics courses. For example, the dean of science reported that in fall 2016, the Department of Physics revised an introductory physics course to focus primarily on course learning objectives with innovative support services for students, rather than the traditional curve grading system. The results were dramatic: The percentage of students who were not successful was reduced from 30% to 15%, with the same grade distribution on the required proficiency exam as the previous year. In other words, more students succeeded without decreasing course rigor or expectations. We currently have 616 excellent faculty members. Between 2012 and 2016, we hired 143 tenured/tenure-track faculty with outstanding reputations from the top schools throughout the nation. During this period, we also hired 272 professional track faculty members, including 65 professors of practice with decades of experience in high-level industrial positions. Over the past two years, we have doubled our number of national academy faculty members. These individuals are the top scholars in our profession. By every measure, the quality of our faculty is exceptional and is improving each year. The college is committed to keeping all classes below 100 students and more than 50% of classes less than 50 students. Whereas the maximum class size before 25 by 25 was 250 students, at this time, 100% of engineering classes are under 100 students. Also, 54% of our undergraduate classes and 94% of graduate classes are less than 50 students. With our recently hired faculty and the addition of the new Zachry Engineering Education Complex (ZEEC) classrooms, we are confident that we will continue to meet this goal. The College of Engineering currently has 2.1 million square feet of space and an additional 1.1 million square feet under construction. The largest project underway is the 525,000-square-foot Zachry Engineering Education Complex (see Figure 4), which opens in summer 2018. It will be the largest academic building on the Texas A&M campus and will add many 100-person and 48-person classrooms and common laboratories to our program. In addition to the laboratories and classrooms, there will be study spaces and collaboration rooms. Recently, there have been a number of questions about flipped classrooms, which is one type of active learning instruction. A flipped classroom allows students to view lecture materials online before attending class to encourage active learning and problem solving with their instructor in the classroom. Studies have shown that active learning environments help students retain information better than through a passive learning environment (traditional lectures). That said, it is critical that faculty members are properly trained to use this teaching style. Therefore, the College of Engineering has made significant investments in professional support staff to train faculty and facilitate adoption of cutting-edge technologies and digital learning best practices. Additionally, the university’s new “Pedagogy Project,” which focuses on transformational learning experiences for all students, is providing faculty with specific training, tools and collaboration opportunities centered on increasing student engagement and success in all entry-level Texas A&M classes. The College of Engineering will continue to monitor the implementation of this type of new pedagogy and is committed to delivering a top-quality educational experience to all of our students. Nationally and statewide, the market for engineers remains strong. To ensure that our students have every opportunity to find a job or an internship, a satellite career center will be housed on the first floor of the Zachry Engineering Education Complex. Our expanding Aggie engineering network will be an asset to our students by helping connect our new graduates with job opportunities. A primary mechanism to evaluate the quality of our program is accreditation by the Accreditation Board for Engineering and Technology (ABET). This extensive review process involves an on-campus visit to assess the quality of our degree programs. Our most recent review was in fall 2016 when an accreditation team of over 25 faculty members from top universities and industry visited our campus to assess our degree programs. The result was nothing short of exemplary: Our college received its best review in 18 years with no weaknesses. In fact, in the exit meeting, the accreditation team stated that the major strength of our program was the 25 by 25 initiative. This statement confirmed that our growth has not negatively impacted our programs, but has actually strengthened them. On-campus housing: I am happy to report that the College of Engineering offered 3,100 south side dorm slots starting in the 2017-18 academic year. The housing for these engineering students comprise the Engineering Commons, a living learning community. Food services in the engineering district: The Zachry Engineering Education Complex will include the largest Starbucks on campus with an extended menu. In addition, we will have an area in the Engineering Quad (E-Quad) that will accommodate food trucks with permanent outdoor seating. Figures 5 and 6 show the E-Quad and the food truck area located at the corner. Parking near the engineering buildings: In 2014, I submitted a proposed campus plan for the engineering district of main campus to the upper administration. In that plan, I requested the construction of a multilevel parking garage to be located next to the Emerging Technologies Building. (See Figure 7). I also requested that the bottom floor of the garage be used for restaurants, a fitness center or convenience stores. The university agreed to support this project, with an anticipated opening in 2019. To conclude, I want to remind you all that you are engaged in a pivotal moment in our history. You are intimately involved in a nationally recognized transformation in engineering education at Texas A&M. You were selected out of more than 12,000 applicants to join a top-ranked engineering college at a critical time in the global technology revolution. 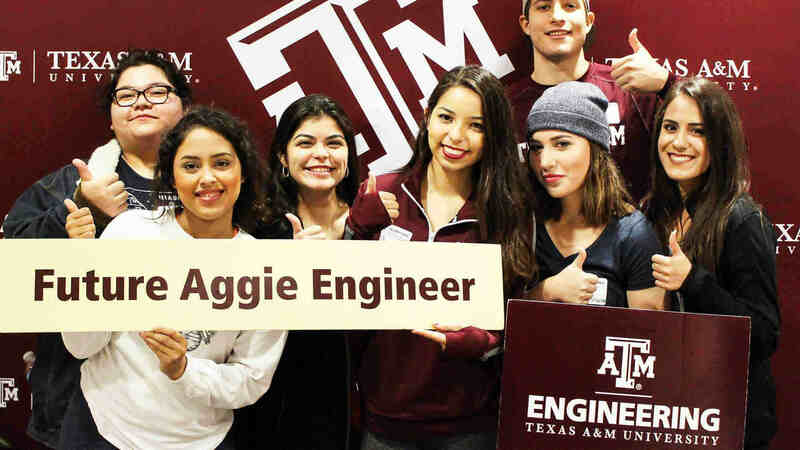 Graduating with an engineering degree from Texas A&M will not be easy, but with the help of your fellow students, you will join a network of Aggie engineers who will support and guide you as you step into the engineering profession.